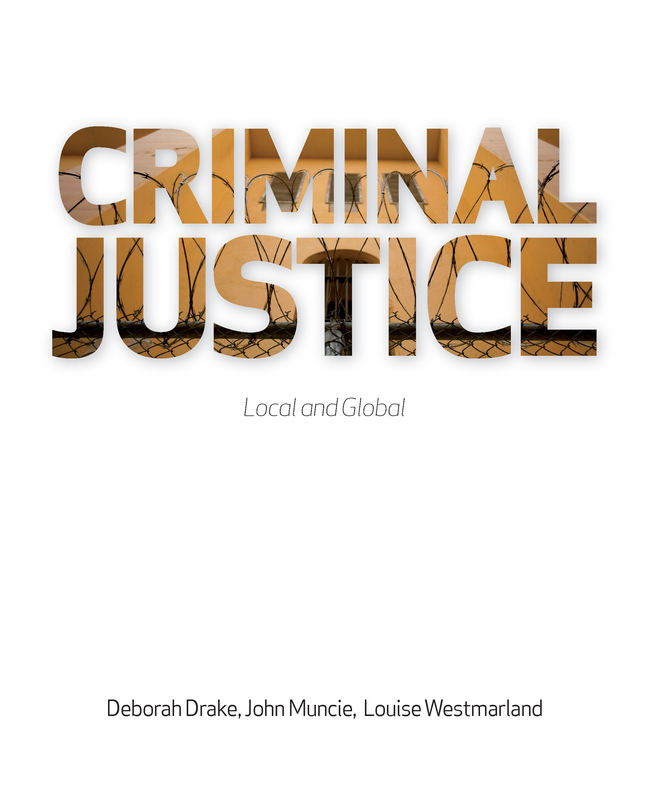 Criminal Justice: Local and Global and its sister text Crime: Local and Global are two new teaching texts that aim to equip the reader with a critical understanding of the globally contested nature of 'crime' and'justice'. Through an examination of key concepts and criminological approaches, the books illuminate the different ways in which crime is constructed, conceived and controlled. International case studies are used to demonstrate how 'crime' and 'justice' are historically and geographically located in terms of the global/local context, and how processes of criminalisation and punishment are mediated in contemporary societies. Criminal Justice: Local and Global covers the way the 'local' can be widened out to look at international, transnational and supranational aspects of justice. This means that issues such as corporate crime and human rights can be discussed in a comparative and critical way, examining the possibility, for example of an International Criminal Court, cross-national jurisdictions of regulation and control (such as Interpol) and so on. Each chapter covers a different area of regulation, punishment and process. Unlike previous texts, the book's approach will be an innovative approach to widen 'justice' to encompass considerations beyond simple, local jurisdictions. The book will take instances of 'justice' in one jurisdiction and use global examples to illustrate how ambiguous the concept of 'justice' can be.